Recent FCC filings for an XT1952 and an XT1965 have sparked rumours that Lenovo Motorola is preparing to release new Moto devices. These documents come in the wake of the Moto G6 series, which Lenovo Motorola released earlier this year, prompting speculation that the company is preparing a G7 series. The Moto G6 and G6 Plus were well received by Notebookcheck earlier this year. These devices may soon be joined by at least two new Moto devices according to Federal Communications Commission (FCC) certifications that have been published online. 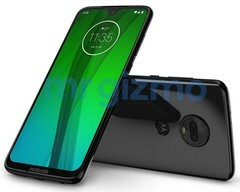 The FCC has published reports on the XT1952 and the XT1965, which has sparked rumours that Lenovo Motorola is preparing to release a Moto G7 series. The files state that the XT1965 will have up to six country-specific variants including the XT1965-2 (FCC: IHDT56XN2) and XT1965-3 (FCC: IHDT56XN3), which will both have single and dual-SIM versions. The XT1965 will reportedly be powered by a Qualcomm Snapdragon 660 SoC and have 4 GB RAM/64 GB of internal storage. The device will support up to 802.11 ac Wi-Fi too. The XT1952 (FCC: IHDT56XR3) will also reportedly have a dual-SIM version, but it appears to be a more affordable device according to the FCC filings. The device tested by the FCC only supports up to 802.11 b/g/n Wi-Fi and 2.4 GHz networks. Most current mid-range smartphones can connect to 2.4 GHz and 5 GHz networks, which indicates that the XT1952 may be a budget device compared to the XT1965. The XT1952 will also have a 3,000 mAh battery and VoLTE. There is currently little other useful information about either device that has been confirmed in the FCC's extensive filings, but there is speculation that Lenovo Motorola is potentially preparing its G7 series.